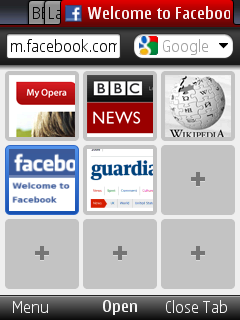 just noticed today that opera mini 5 is out of beta status. i have been using this awesome browser for quite some time and there’s just no better browser out there. opera mini requests every page through opera’s servers which process and compress each site visited, that way your data usage is kept at a minimum while sites load faster. This entry was posted in Software, Uncategorized by munzli. Bookmark the permalink.